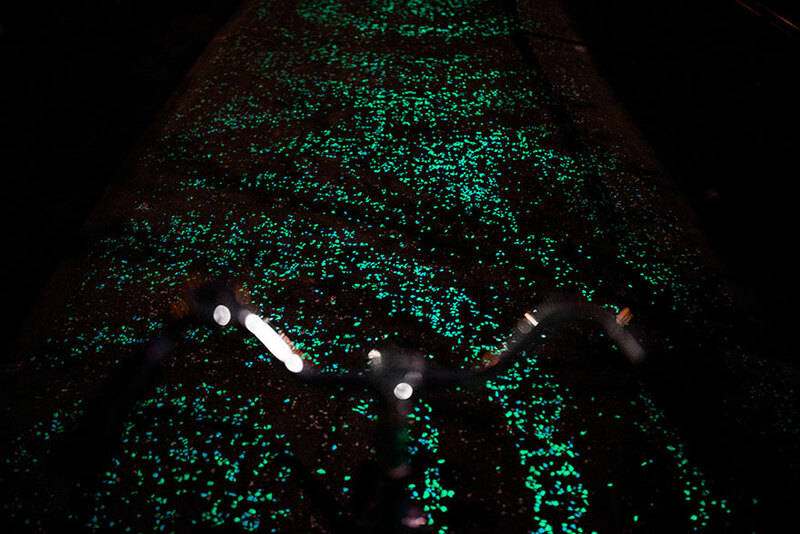 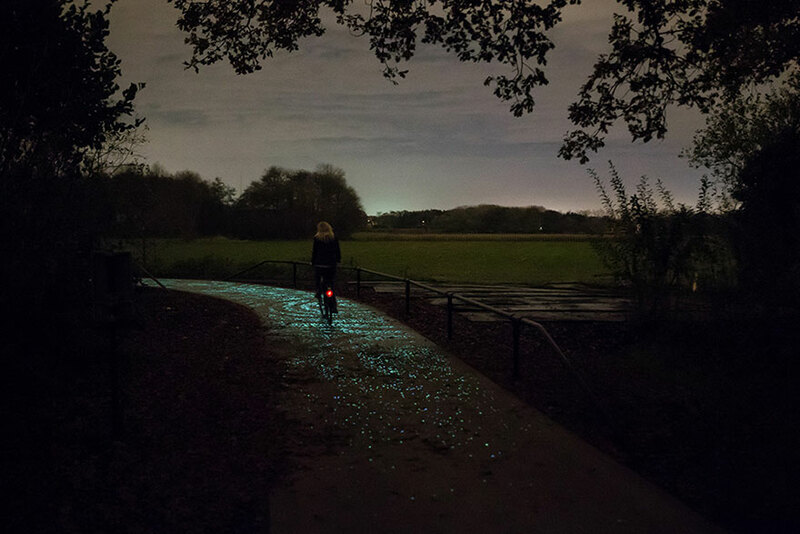 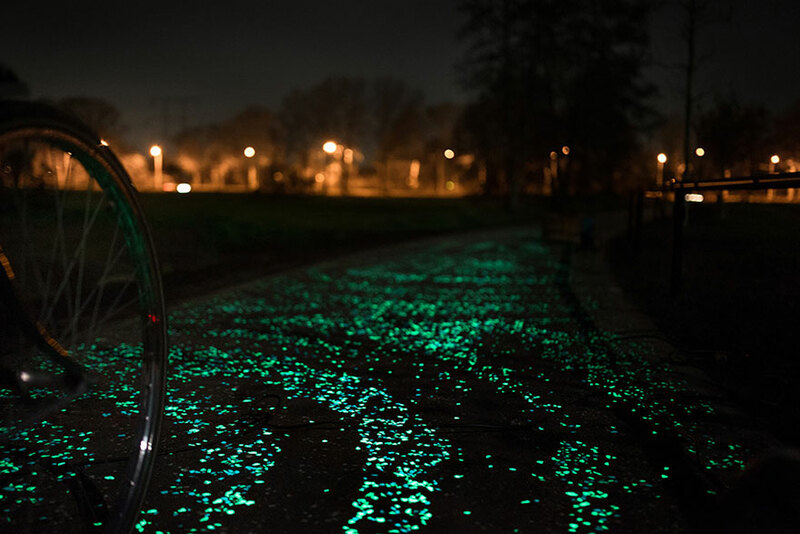 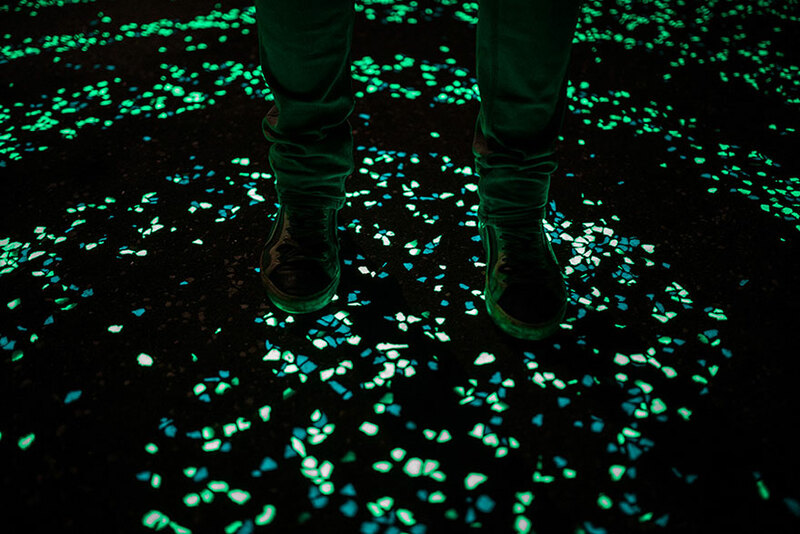 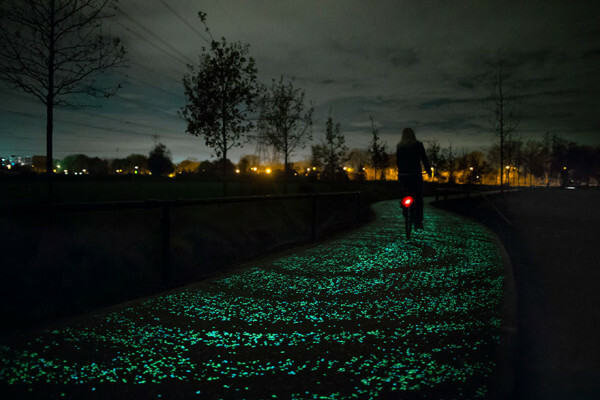 Art and science have met in the most beautiful manner under the direction of Daan Roosegaarde: the Dutch artist has created a visually stunning and technically innovative glowing bicycle path inspired by Van Gogh’s 1889 painting ‘Starry Night’. 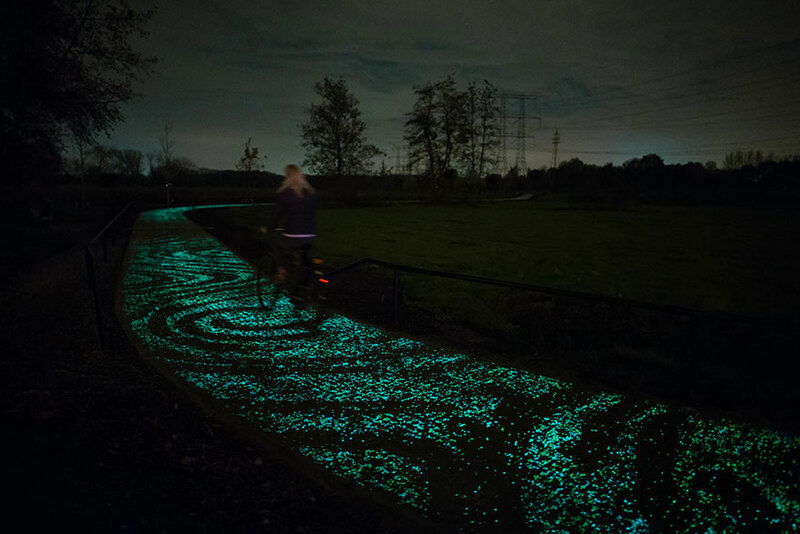 The Van Gogh-Roosegaarde Bicycle Path’s is made of beautiful blue and green swirling forms that glow in the dark to provide a unique experience and gateway to the legendary Dutch painter’s work. 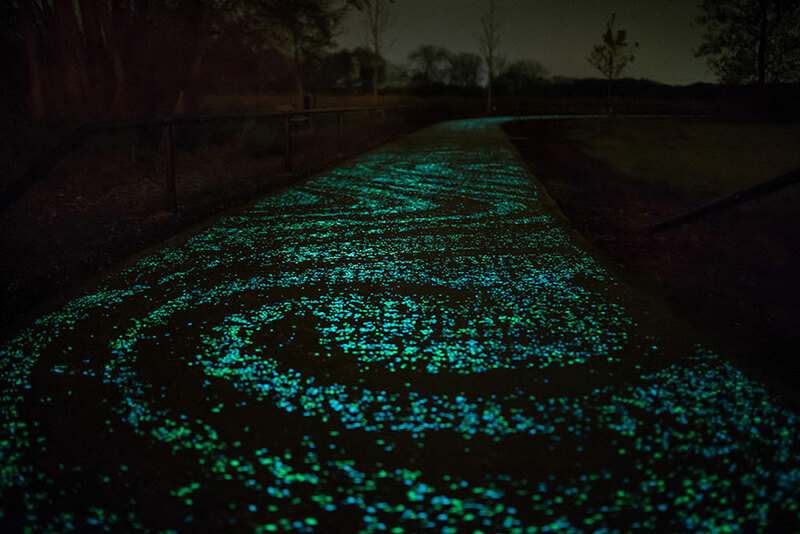 The solar-powered path is self-sufficient thanks to a combination of LEDs and special paint that uses energy gathered during the day to glow at night. 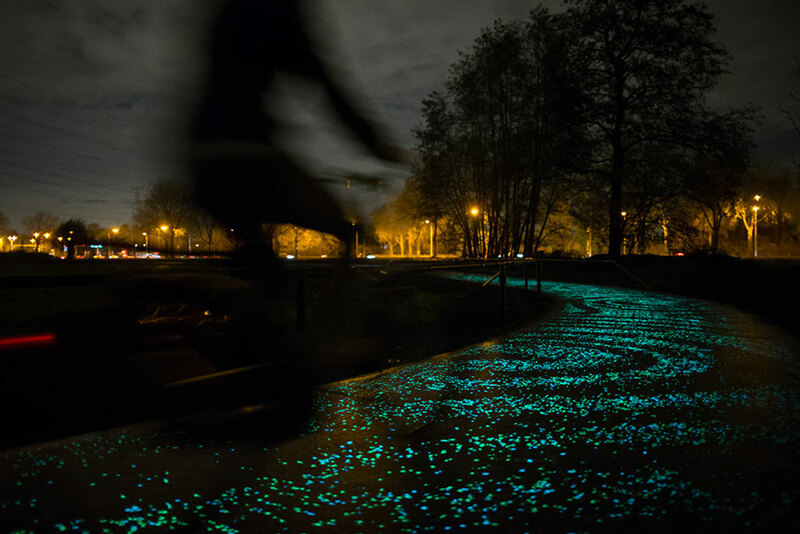 Located in Nuenen near Eindhoven, the kilometer-long bike path is part of the Van Gogh bicycle route through Brabant, home province of the painter. 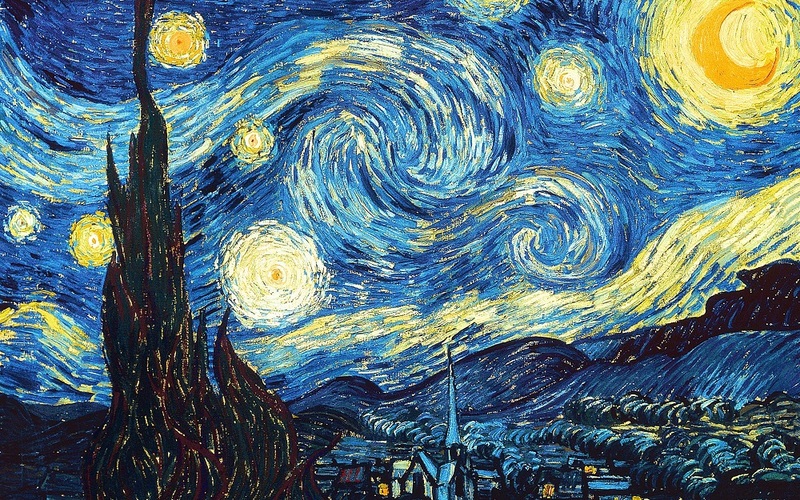 If you are around, make sure to pay a visit: the extraordinary path launched last Wednesday to celebrate the 125th anniversary of Van Gogh’s death and will be open year-round to the public for free.